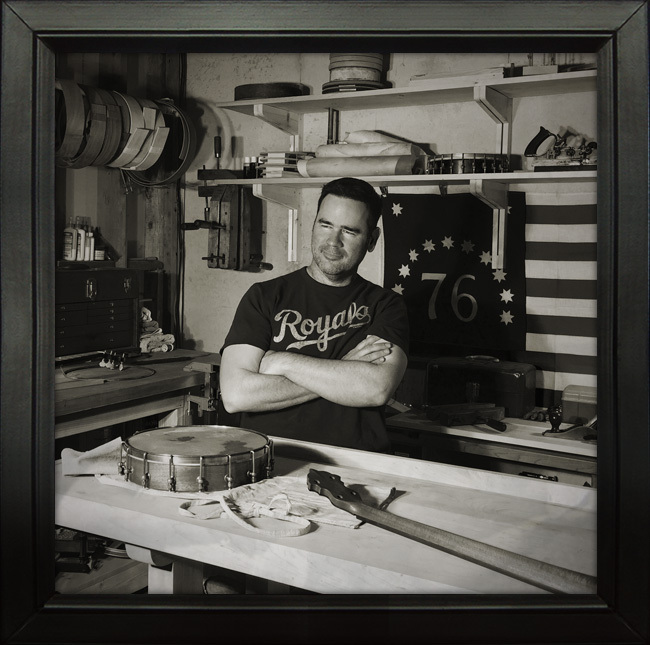 Recently, the fine folks at The Banjo Reserve reached out to talk to me about my banjos, and about life in general as a part-time banjo maker. The interview gave me a chance to think a little more deeply about the work I do – which is an exercise I highly recommend to anyone. Special thanks to Jim Van Zile from The Banjo Reserve for reaching out to me with such great questions. Why did you decide to become a custom banjo builder? I didn’t set out to become a custom banjo builder in the beginning. I had made a modest banjo for myself, of course. And in time, I started to make similar banjos for a few close friends. Along the way, I studied banjos from the past. I looked at old banjos from the 1890s – instruments that were made by hand with no power tools to speak of. And I grew to respect their enduring qualities. These objects, built from such humble beginnings, were somehow still being played more than a hundred years later. I thought, “If I can make something that’s still being played in another hundred years, that would be a good thing.” So, here I am making banjos for whoever will have them. Do you work alone, or are there others involved in your construction process? I work alone. But when I’m building a banjo for someone, I never feel like it’s a solo endeavor. I enjoy getting to know my clients. And I love the collaborative spirit of building a banjo “in the air” before we settle on materials and a specific design. In this way, I feel like every new commission is also the forging of a new partnership. From start to finish, I share updates and photos of the entire construction process. Over time, this experience – or story – becomes part of the finished banjo. It arrives at their doorstep with a history already built in. Are you a banjo player? I love to play banjo. I started out playing three-finger bluegrass style, but quickly migrated to clawhammer and the old-time playing tradition. I was attracted to the simplicity of old-time music and the timeless themes that are embedded in many of the tunes. I learned to play banjo by ear from a fiddle player who spent years learning regional styles from places like North Carolina and Kentucky. He would play a fiddle tune for me, and tell me to come back in a week to play the same tune on my banjo. It was hard but also very rewarding. I would like to think this authentic style of learning has informed the way I build, and has cemented my passion for vintage period design. I am a designer by trade, so design is a very important part of my process. I am inspired by the very old styles – mostly from the 1890s and early 20th century. I fill my shop with tools and materials from the 20s, 30s and 40s. I have learned that if you spend enough time with these old objects, their design just starts rubbing off on you (sometimes literally). But design is more than just aesthetic. A design approach is an approach that considers things like playability, tone, construction and durability. Sometimes this calls for innovative solutions, and a fusion of things that traditionally may not have been put together. 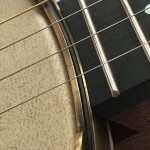 What sets your banjos apart from others? I like each of my banjos to carry meaning and to have a story. Some of this story comes from my own family history which goes back to my grandfather, and which endures in the still standing maple timber in northern Wisconsin. 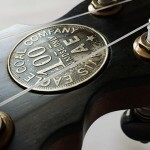 And some of this story comes from the historic coal scrip coins that are embedded in the peghead of each Bad River banjo. Coal scrip was a curious form of currency that took the form of paper bills and stamped coins – most of which were unique to the coal mining, lumber and railroad companies that issued them. These coins passed among many hands over the years. And the hands of workers who toiled in those days were the same kind of hands that picked up the banjo and played. Running. Art and design and storytelling. Horses. Griswold family road trips. Outdoorsy stuff. Classic literature. Contemporary comic books. Royals and Chiefs. Board games. Cats. Cryptozoology. Fishing. Recently, I’ve been learning to play the fiddle – mostly alone and far away from other people. This is just part of the interview. See the rest here.